A happy employee is a productive one, right? That’s what the experts say, so companies are forever looking at ways to measure how engaged staff members are. One way of doing this is to conduct annual surveys. These can be used to find out how employees are feeling and to crowdsource solutions to workplace or business challenges, such as how to improve customer service. With retention such an important issue, however, few firms can take the time to wait for this valuable feedback to dribble back to them once a year. More helpful are real-time responses to help them gauge how motivated and on-message their workers really are. Thankfully, help is at hand with the emergence of a large number of employment engagement software programs such as TinyPulse, Culture Ampand Qualtrics. These promise to capture employee emotions and crowdsource their ideas on company issues at the drop of a hat. Companies in Ireland have been slow to embrace this technology, but organisations elsewhere are beginning to see it as essential in enabling them to receive continuous feedback on staff morale and to gather vital information on other areas of the business. “We are seeing a much greater focus across all aspects of an organisation to access real-time, insightful data and the area of employee engagement is no exception. While we haven’t noted any pervasive spike in the use of innovative employee engagement software in Irish businesses as yet, what we are seeing is that organisations are becoming increasingly focussed on changing the rhythm by which the organisational temperature is taken,” said Ciara Fallon, people and change senior manager at PwC. While new ways to measure engagement may be becoming popular, Fallon doesn’t expect traditional forms to disappear overnight. “The annual climate survey still plays a key role in providing a ‘moment-in-time’ picture for leadership and acting as a useful benchmark to identify trends and themes. However, organisations are seeking to find more dynamic and lighter-touch methods of determining the key issues, opportunities and challenges within an organisation,” she said. Sarah Marrs, an employee engagement expert at Qualtrics, that provides survey-based enterprise data collection, says it isn’t just about asking employees if they are happy, but also about encouraging them to help come up with solutions to problems that affect businesses. “Employee engagement has evolved and it is no longer about asking people how they feel over and over again. Obviously that is important, but increasingly it is also about acknowledging that people are experts at what they do and therefore know how things can be done better. Software can be used to capture feedback as things happen, rather than months after the fact and this information can be valuable in improving processes,” she said. Marrs previously worked as a manager in Tesco’s people insight team, where she was responsible for running the grocery chain’s annual engagement survey for some 200,000 non-UK-based employees. Part of her role there was to help encourage employees to give feedback about how they might be facilitated to do their jobs better. She cited as an example an insight from Tesco staff from an online survey which revealed that delays to stock getting put on the shelf were primarily due to the fact that some companies’ packaging took three times longer to unwrap than others. “Little insights can have a big impact. Understanding that it is the employees doing work day in, day out who are the experts at what they do, can lead to great discoveries and solutions,” she said. Trevor Madigan, a Dublin-born, New York-based entrepreneur who has developed a software application that enables firms to tap into the wisdom of their employees by crowdsourcing opinions, also believes staff have the answers to company-wide problems. His start-up – The Vision Lab – has an application that encourages employees to submit ideas on specific challenges and then uses algorithms to find the best solutions. “The knowledge to solve a lot of organisational challenges can be found within hours or days, simply by asking employees. The added bonus is that in doing this, they feel as though management is listening to their views and is encouraging them to help transform the organisation, which is obviously important in terms of keeping employees on board,” he said. The drinks giant Pernod Ricard is one of the companies to have used The Vision Lab’s software to garner ideas about how it could spread the word about the brand. “In hindsight we probably should have been more precise in the questions we asked staff because we were a little overwhelmed with the number of responses we got initially as so many people took part. But as they got to vote on ideas that came through, the best ideas naturally seemed to rise to the top, while those that were most polarising didn’t do so well,” said Stephen O’Neill, formerly senior vice president of strategy and transformation at Pernod Ricard USA. “Some ideas were low-hanging fruit that were fairly easy to implement, such as changing dress codes, while others required a bit more work, but the fact that we were asking people for their thoughts proved to be very popular. One staff member told me that some fairly minor change we introduced, that I’d felt wasn’t that big a deal, actually was because it showed that we were listening and were prepared to follow up on ideas that were put forward,” he added. Systech, a New Jersey-based company that focuses on brand protection and authentication technologies, has also used The Vision Lab’s technology to crowdsource employees to get the best ideas to solve a number of issues including improving communication and employee onboarding, and ways to better integrate foreign employees. “Traditional methods will only get you so far. To tap into the wisdom of your people, use crowdsourcing. 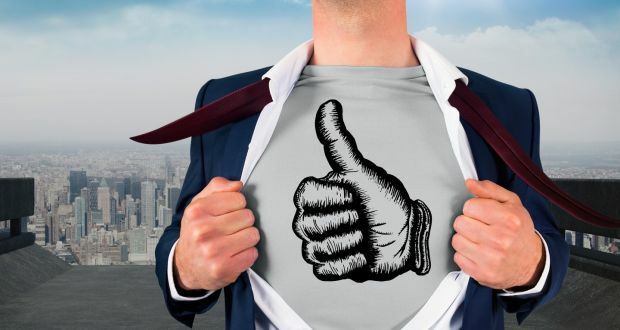 It engages people, is anonymous and helps leadership understand what is on their employees’ minds,” said Suzanne McGloughlin, vice president of customer experience and quality at Systech. ‘Untold damage’ McGloughlin said her company had an outstanding response to questions it asked staff members with a 76 per cent participation rate. About 180 submissions were made over a three-day period and more than 10,000 votes were cast for ideas. “The organisation immediately responded to employees’ request to review business attire and within 24 hours rolled out a new casual dress-code policy. Other quick wins have been implemented and longer-term strategies are being defined,” she added. There’s no doubting that canvassing employees for their opinions can be good for business, but unless companies are prepared to follow up on the input they receive, then it can be worse than not asking at all, says Dr Yseult Freeney, chair of the MSc in work and organisational psychology course at Dublin City University. “One of the most important things about engaging employees is that it gives them a sense of ownership over any decisions that are taken so asking for feedback can help people feel more engaged in their work. However, if you seek insight from a staff members and then don’t act on it you are doing untold damage,” she warned. Madigan agrees: “The biggest hurdle in using software to engage employees is a fear by leadership to ask questions and then to hear what people have to say. If you’re not going to act upon the contributions made by people in your organisation then it is a real challenge because there will be an expectation of action among people who are participating,” he said.